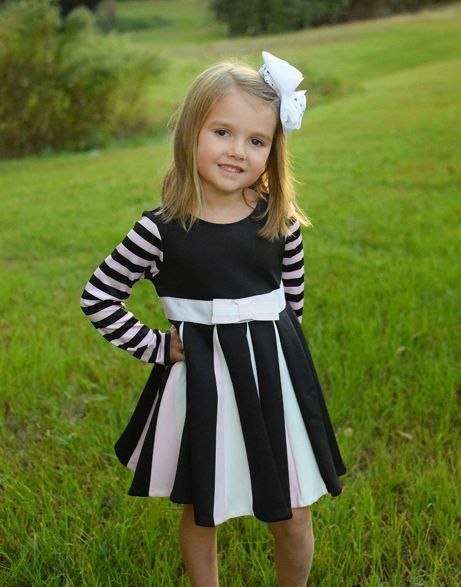 Oh my, this girls Biscotti dress is a must have! 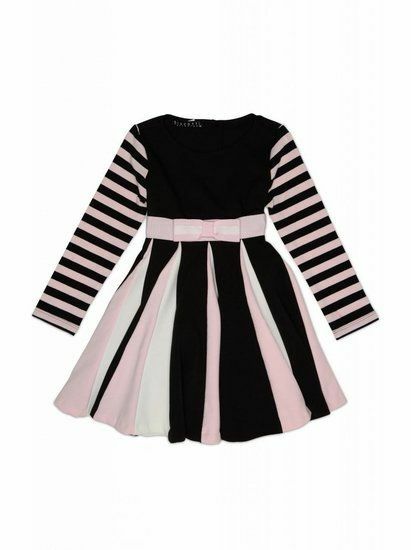 The designer knit dress has a black bodice with a beautiful soft pink grosgrain bow and ribbon at the waist. 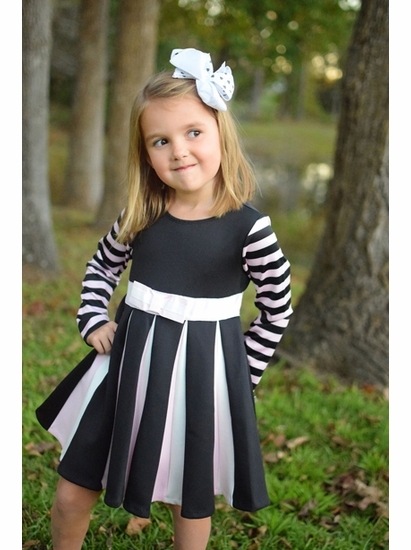 The long sleeves are a contrasting black stripe with a pleated skirt that is beautiful and made for dancing! This dress takes her to every soiree this season. 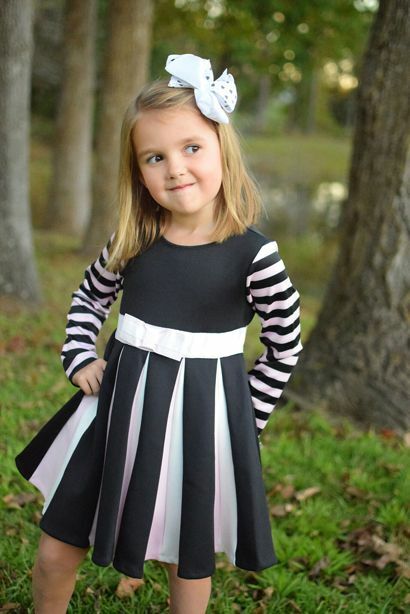 Order your black and pink twirling dress in sizes 2T - 6X this season. Adorables offers free shipping on all orders over $75 shipped in the US!